I feel as if I’ve watched Jamesha grow up, so I was thrilled when I head of her proposal. I first met her when she danced in Horry County Dancing with the Stars, representing the Early High School Education Program. She and her partner performed a beautiful tango. The past few years, Jamesha as bloomed into a Myrtle Beach professional and dazzled the social scene. Last year at a friend’s wedding, a little birdie rumored that a proposal would soon be in the works. As the story goes, Kelly had a plan A, B, and C for the proposal. After sharing her birthday by going to the beach, enjoying herself, and dinner with her family, Jamesha would get her biggest birthday surprise when she returned to their house. Kelly called her out into the living room. As she walked out, he was down on one knee proposing in the perfect place – their home. I enjoyed shooting their engagement portraits and watching them plan their special day. Kelly surprised Jamesha with priceless Diamonds for her wedding gift. Jamesha surprised her Beau equally, with a very authentic and timeless treasure. Our beautiful couple said “I do,” at Atalaya Castle with friends and family. He father was our jokester and her mother was as beautiful as she’s always been. Speaking of fun, who could forget the roast and toasts? The weather couldn’t have been more perfect as our couple photobombed each other, danced and cut up the entire night. I can not think of anything but happiness in the future for this couple. I am very thankful to have been apart of this chapter in their lives and I consider them dear friends. Guys, congratulations! May every year increase with happiness and may all the days of your lives be full of adventures. Who doesn’t love a southern bride and how she plans her wedding?! Alison kept traditions in more than one way and they were nothing short of elegant. One of the most thoughtful was the memory of Alison’s mother sewn into her dress. She took her mother’s wedding dress, and had a section monogramed so that she could have it with her as she walked down the aisle. Just beautiful. Picking a venue in the heart of old South Carolina, Rosewood Manor hosted a grandeur atmosphere for the Scruggs and their guests. Dr. Gary and his staff go above and beyond to create unforgettable memories at their plantation home, it was simply exquisite. To add to the authenticity of the occasion, Alison and Jamie were wed in Marion’s First Presbyterian Church. It is a classic establishment with warm hues that dance against wood shutters. Not to mention an impressive organ sits behind the alter, overlooking each ceremony that enters its doors. Jamie’s father conducted the ceremony and he choked before pronouncing the couple as husband and wife. With a laugh the couple kissed and began their new chapter together. A 1977 burnt-orange corvette sat outside the church, ready to take them back to Rosewood Manor to celebrate with family and friends. The Vistas Band performed in fantastic blues-brothers-style and performed pieces that had everyone giggling. Who could forget the duet with the little flower girl? It was a great celebration to ring in the holidays. Once there, the crowd partied until the cold encouraged everyone to retire and go inside for a night cap. But before Jack Frost could have his say and as every southern bride does know, the night could only end with a sweet tribute to Sweet Home Alabama. Love knows no time, it only knows how it feels, it relishes sweet moments while unfolding. That’s probably the most elegant way I can describe a union that waits patiently for the right time. Tessa and Andrew are a beautiful representation of what love looks like when everything has been carefully crafted. Unlike love, timing is everything. Time is a measurement that is as strict as it is graceful. Tessa and Andrew picked a lovely date to be wed at the Members Club at Grande Dunes, incorporating their love of golf, elegance, and family into a single venue. Friends and family flocked all the way from England to see the cherished couple’s first kiss, first dance, and first moments as husband and wife. There’s more, I don’t know if there’s a way to properly describe the immersion without seeing it for yourself. The couple set aside a special song for the bride’s niece. 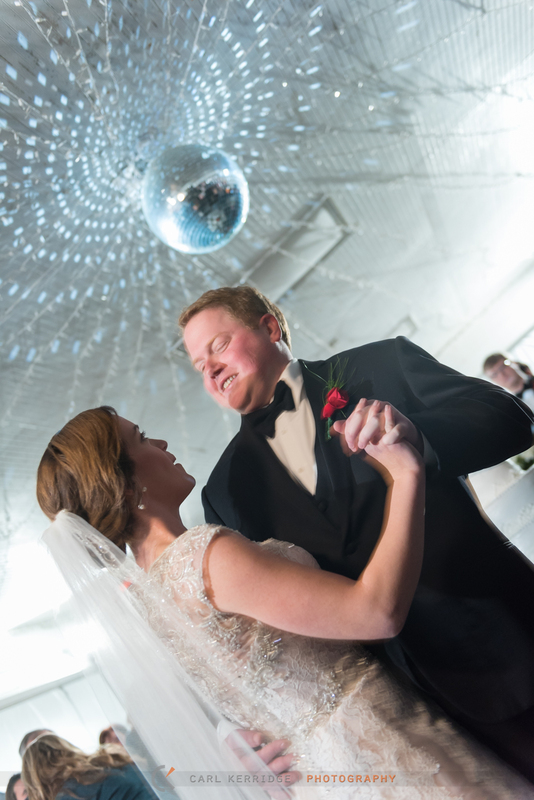 Her niece was recently wed, but didn’t get to have her own first dance. Before the night was over, the young couple were invited to the floor to share a loving moment in front of family and friends too. This was impactful – The love and consideration my bride and groom could have for the rest of their family and friends. It’s the same love that withstands the test of time, it sets the example for all to see. The support of their union is incredible. 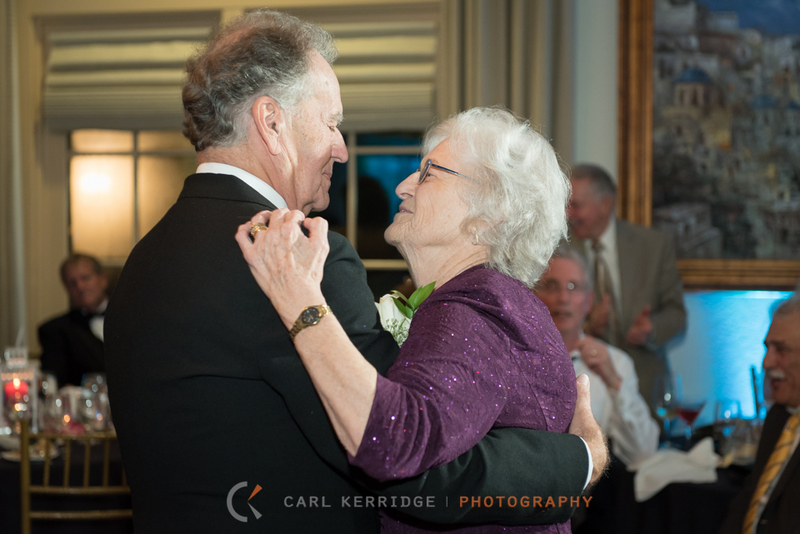 Between both sets of parents, over 100 years of marriage and good fortune wove around the room. The icing on top would have to be where they went for their honeymoon – Disney World! Again, it is freshly renewing to think about this beautiful love, tempered with wisdom and patience, that still sings like the heart of a child. Congratulations Mr. and Mrs. Calvert, may all your dreams come true! While looking through Mallary and Travis’s wedding images, I pondered all that could be said of them and their wedding. I know that there is a gentle quietness of respect for all who choose to serve for their country and who marry and support that service. Thinking about Mallary’s bridal shoot, I began flipping through The Great Gatsby, wondering if Fitzgerald could spark my creativity, and then there it was – a quote that set the imagery for their wedding ceremony at The Cooper House. When Travis told us to “rock on,” the other side of this strong couple came out to play. Avid Clemson and music fans, there wasn’t doubt they knew how to party, and the crowd threw down at Inlet Affairs in Murrells Inlet. At the same time, I enjoy thinking back about how simple the two wanted to keep the wedding details. Nothing is better than for a couple to focus on what truly matters, that the two of you are marrying each other. That is the sacred memory you’ll share forever. As Mr. and Mrs. Haynie begin their future together, I have much admiration for them both and give them my best. There will be challenges, there will be beauty. There will be calmness and there will be spurts of energy. My wish is that every time the two of you are close enough to touch, you rest against each others foreheads, remember your wedding to each other and feel all that matters – Hope, Faith, and Love. When it comes to my fine art passions, I’ve learned to love seeing out of state phone numbers, and especially those out of country! I love destination weddings. I love being the photographer to welcome couples to the Myrtle Beach area. This groom initially contacted me because he wanted to buy a fine art print from SeaBlue Restaurant for his bride to be, Wendy. Then he asked if I shot weddings. Needless to say, everything progressed from there. We customized a unique package for them that included less pictures than I usually deliver allowing me to produce the documentary style they desired and emphasize fine art pieces in my post production. Just picture it: The Dye Club with their beautiful Royal Oak furnishing’s and tasteful elegance. When it comes to fine art, what more could you ask for? The Dye Club is a private country club that sits near a beautiful lake on one of the top local golf courses. It has a very low country classic style to it. Crafted into a single level structure, it has rich decorations, a gold leaf ceiling and a large wrap around veranda porch. Though the day had threatening clouds, the weather never altered the couple’s mood. They were super laid back and more than anything looking forward to the reception. They said “I do” between rain showers to a backdrop of beautiful colors with a close group of family and dear friends. To get that fine art feel, we moved around the property using the blooming azalea and gardenias for Wendy’s bridal and the couple’s portraits. In a beautiful irony, the wedding colors and Joe’s tux matched all the blossoms around The Dye Club, an unplanned phenomenon! Both Joe and Wendy wanted a non-stop party. Joe Durivage, of Myrtle Beach DJ’s, guaranteed a rockin’ party and everyone danced, literally until midnight. The toasts, the dip, the dancing, I tell you Mounties know how to have a good time! One thing I will always take away from their wedding will be how intimate it all turned out. It was truly the little things that mattered, and oh those little things, how wonderful they are. The bride’s daughter was the maid of honor, and the groom’s best man was his son. In front of their dedicated friends and family, a memorable wedding gift was given. The bride’s daughter presented a source for future memories – it was a hand-made carved wooden photo album, delicate in the most loving way.